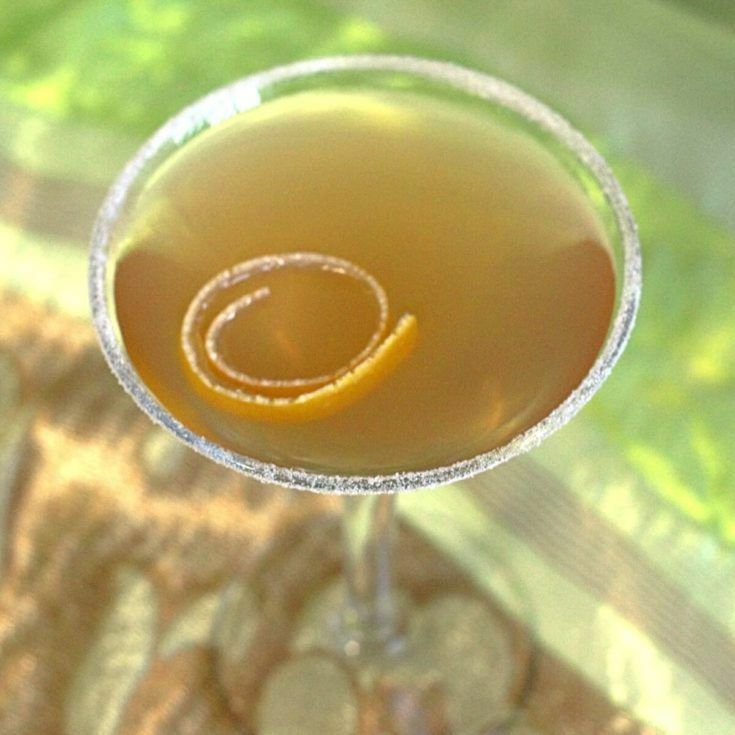 The Sidecar cocktail probably dates back to the end of World War I, and early versions may have contained more ingredients. The recipe that survived only has three ingredients: brandy, orange liqueur, and lemon juice. 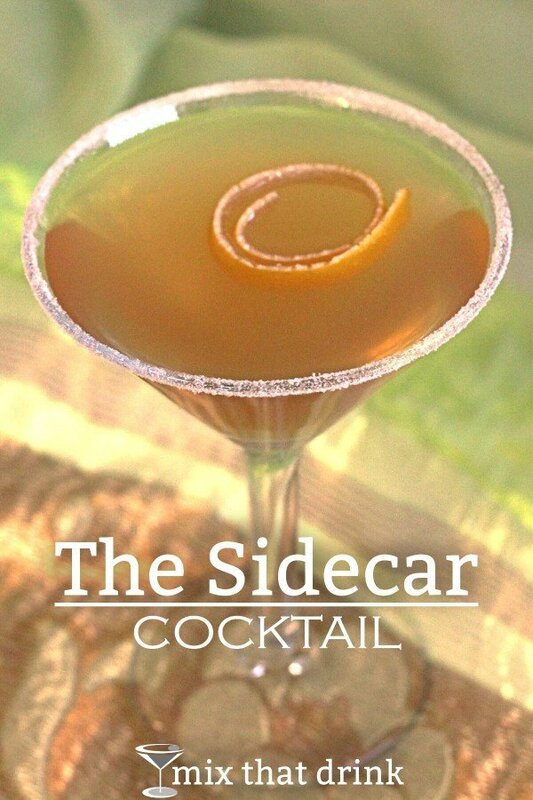 The Sidecar was probably thought of as a ladies’ drink because it was on the sweet side, and rimmed prettily with sugar (here’s how to rim a glass). But it’s less sweet than a lot of modern drinks. It’s at about the same level of sweetness as the Cosmopolitan, and in fact, makes a nice alternative to that drink. And it’s a little less sweet than the classic Lemon Drop Martini, with the biggest differences being those two being that the Lemon Drop features vodka instead of brandy, and has some sugar added directly into the drink as well as a sugar rim. The flavor is distinctly citrus. There are a couple of variations on this one, but the most common adjustment is a change in the ratio of ingredients so that you end up with a less sweet drink. The sweetness in this cocktail mainly comes from the orange liqueur and the sugar rim on the glass, with the brandy adding a small amount, too. It’s not too difficult to pair this drink with a meal. It goes well with savory dishes, like this Basil Mozzarella Grilled Cheese from Kitchen Bowl. The mild basil pesto and mozzarella form a wonderful backdrop for the citrus notes in the drink. The Sidecar cocktail recipe dates back to WWII, if not earlier. It features cognac or brandy with orange liqueur and a little lemon juice. It's a sophisticated drink with a light citrus flavor. Rim a chilled cocktail glass with sugar (sugar rim is optional, but preferred). The sugar rim is optional. Garnish with a strip of lemon rind. These were served at a bar where my office had a retirement party. I tried one and I’ve been ordering them ever since! Now I can start making them at home!